With Apple’s new product release (including the iPhone XS and the iPhone XR) came some issues. Some users of the iPhone XS have experienced problems with charging and wireless reception. The phones were kept from charging while the devices were in sleep mode, and there have also been reports of users complaining about reception issues while switching between using data and Wi-Fi. 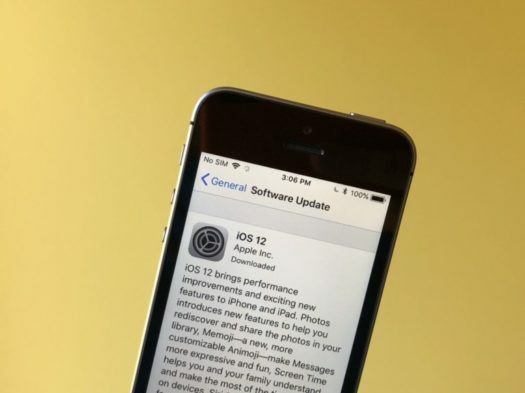 Apple promised its customers that they would work on fixing these issues with the new update, iOS 12.0.1. The newest apple update includes bug fixes and improvements for Apple devices. The update will fix the problem that iPhone XS devices were experiencing. Many of the phones were not charging immediately when plugged in and were joining wireless networks at a lower network speed. Apple was quick to develop these fixes for the new phones, keeping user satisfaction as a top priority. Other features added include Memoji, which is a more customization Animoji, that will make your messages more expressive with diverse and personalized characters. The weather app will now include air quality index in supported regions. The update also improves apple music. The search bar now supports lyrics so songs can be found by a few words. Additionally, new charts have been added to show users the daily top 100 songs in countries around the world. The new phones had updated computational photography features. Some users are not happy with the changes, claiming their pictures are being overly smoothed when the front camera is used. People may have issues with the updated front camera features, but this effect was an intended function.